Over the last two months business volunteers from Aviva, Hiscox, Network Rail and York University Student’s Union (YUSU) have been working with representatives from British Sign Language for Kids (BSL Kids), Older Citizen’s Advocacy York (OCAY) and York Community Stress Management to address a variety of issues faced by these local charities. Run by Marije Davidson and Vicci Ackroyd, BSL Kids provides opportunities for children who are deaf or have a deaf person in their family or school class to learn British Sign Language in order to facilitate better communication. They have recently piloted a course and have since had interest from both schools and parents and were keen to develop a sustainable business model. Through the process, BSL Kids has made significant headway in terms of exploring different business models and considering options for partnership working. Business volunteer Louisa Kirkbride from Aviva commented on how impressed she was with Marije and Vicci’s energy and enthusiasm, whilst they felt empowered by the business volunteers belief in them. OCAY provides a free and independent advocacy service to support older people in York. The charity was keen to develop a business model, which would allow them to expand their work into other areas such as dementia advocacy. During the review, Catherine Hartley, Development Officer for OCAY worked with the business volunteers on financial modelling, which she feels has put the charity in a much better position to bid for tenders. York Community Stress Management, run solely by clinician Christina Wade, is a relatively new service offering support to people with stress-related problems and low-level mental health issues who may have difficulty accessing services on the NHS. Christina was seeking to secure funding to expand her services. Christina worked with the business volunteers to review her objectives and focus on her priorities, one of which is developing partnerships. She now feels that she has the confidence to proceed with her service. It is clear that there is real value in bringing the charity and business perspectives together and York Cares will continue to facilitate this process by running another CBR between March and May of this year. 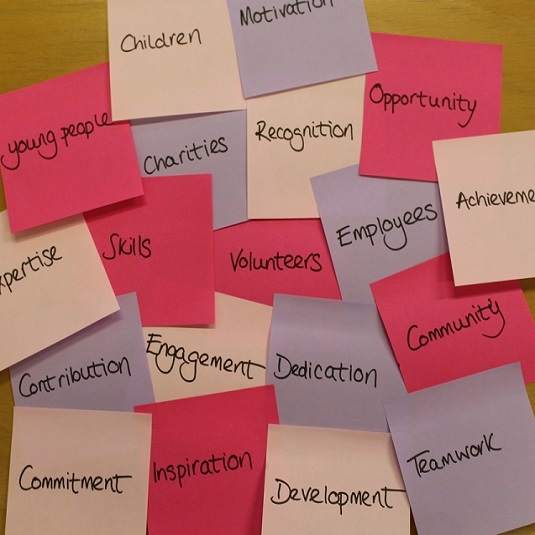 We are working with York CVS to identify charities who might benefit from this experience.